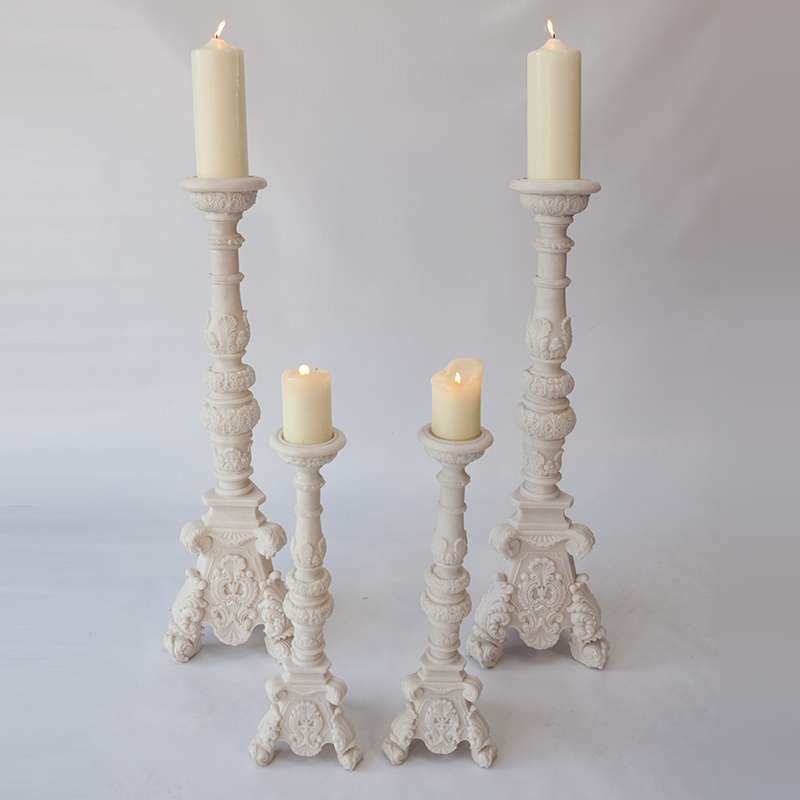 These stunning, large ivory marble effect candlesticks truly have the wow factor. 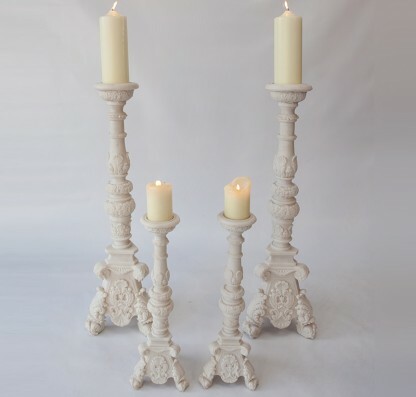 Available in 2 sizes, they make an ornate yet understated statement in any venue. 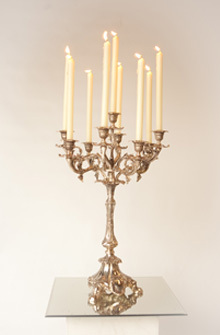 Holds a pillar candle. For indoor use only.